I have written to the cinema. 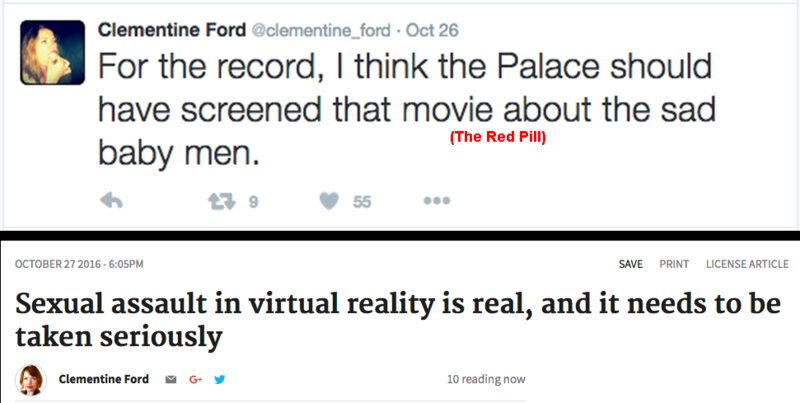 I cannot express the disgust I feel for the person who made the call and for the feminists who demanded this film be banned. In the end, I fear the apathy of so many Australians will allow this injustice to pass though with barely a ripple of concern. The feminist movement is even more clumsy than I thought. Banning a documentary guarantees heightened interest in it. I hope Palace Cinemas maintains its subordination to feminist groups and only shows approved feminist friendly documentaries which play to near empty houses and rake in $28 for the whole weekend. So feminism is about the pursuit of equality? Yes, sure! More like the pursuit of feminist bigotry and spreading misandry. Location to be announced on Men’s Rights Brisbane facebook page after close of business on January 13 to prevent harassment of our venue.